Am I a Spiritual Demolition Expert? On October 24, 1998, there occurred a very sad event in the history of Detroit. On this day, the J.L. Hudson’s department store demolished. This landmark of downtown Detroit was, at one time, the second largest department store building in the nation. The Hudson’s building was prepared for demolition by experts who knew what they were doing. In a matter of seconds, the building came tumbling down. The demolition experts had done their work. In the spiritual realm, there are also demolition experts. These people have a talent to harm other believers and churches. They may do their work with a spiritual veneer, like the Pharisees did in the time of Jesus. They may have a goal of “doing what is good”. They may be sincere or “mean well”. Whether intentional or not, these demolition experts cause broken lives and churches. We may not think that we are a demolition expert, but there is a demolition expert in all of us. We have all caused harm to an individual or to a church fellowship. What are some of the qualifications of being a spiritual demolition expert? One of the first qualifications of a demolition expert is pride. Pride causes us to feel superior to others. Because we are better than others, we have every right to condemn them and put them in their place. Pride means that we are never open to correction, but we are always open to correct others. It also causes us to love self instead of loving others. We see this in the life of Saul when he became jealous of the acclaim that David received. Saul’s pride caused his death, the downfall of his family, harm to the Kingdom of Israel, and great grief to the life of David. A third qualification of a spiritual demolition expert is the “Holy Spirit Syndrome”. This individual feels like they have the answer for everybody’s situation. They know what others need to do and how they should do it. This doesn’t seem to bring harm to others. However, the person with this syndrome keeps others from developing their own personal walk with the Lord. Instead of looking to the Word of God or to the Holy Spirit for guidance and direction, many people look to the person who has become “their holy spirit”. God has not called us to be demolition experts. He has called us to be builders. “Wherefore comfort yourselves together, and edify one another, even as also ye do.” (Ephesians 4:11) A builder shows care, concern and sacrifice in producing a building. We need to have this same concern and love for individuals as well as for the Body of Christ. Let’s take a quick look at a few qualifications of spiritual builders. They have a love for the Lord and others. They have a humble spirit. They use their tongue to build up others. They encourage others to develop their own walk with the Lord. They are sensitive to the needs of others. Author markjemilboothPosted on March 8, 2013 Categories Bible Study, Christian Life, LoveTags demolition, god, HolySpirit, Hudson, J.L. Hudson's, Kingdom of Israel, Lord, love, Pharisees, prideLeave a comment on Am I a Spiritual Demolition Expert? 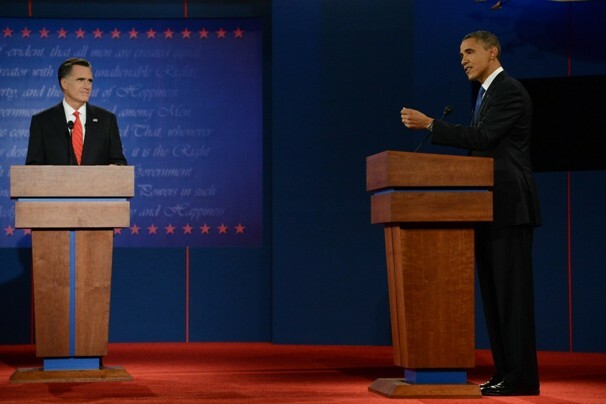 The first two debates are now history. The debates have been helpful to hear the candidates and learn their positions. They have also been helpful to see how the candidates interact with each other. Many people have written about the debates, but no one has asked the question: “What can we learn about ourselves from the debates?” Here are several questions that we can ask to help us make these debates personal. 1. What is the most important thing in my life? The Lord desires our focus to be upon Him, anything else can quickly become an idol in our life. 2. Do I have a fear of man or a fear of God? The candidates use the debates to state their positions to please a certain group of people. The candidates develop a fear of man because they are looking for votes. We can often be controlled by the fear of man as well. The Bible says: “The fear of man bringeth a snare: but whoso putteth his trust in the LORD shall be safe.” (Proverbs 29:25) The fear of man keeps us from pleasing God. It keeps us from serving God fully. True freedom is found when we have a fear of God instead of a fear of man. When we fear God, He is the one that we need to please. “Be not wise in thine own eyes: fear the LORD, and depart from evil.” (Proverbs 3:7) Unlike the politicians, the opinion of others should not enslave our thoughts and actions. We find true freedom in submission to Our Lord and Savior, Jesus Christ. 3. Do I build people up or do I tear them down? The debates have illustrated the great art of tearing down another person to build up one self. We find this to be great entertainment. We cheer for “our side” to win. Is it Biblical to tear down another person? Is this pleasing to God? Do we have the habit of running over people? There are many examples in the Bible of people who made it their goal to tear people down. Ahab hated Elijah. Saul was out to get David. Satan wanted to destroy Jesus’ ministry. Unlike the candidates, we are to seek to build up others. The word “discourage” has the idea of taking the heart out of a person. Encouragement means “to put the heart into a person” Barnabas was a biblical character who encouraged others. He encouraged the early church by his example. He encouraged Paul by befriending him. He encouraged the church at Antioch by his teaching. He encouraged John Mark by helping to restore him after his failure. Love means to encourage others. We don’t see a lot of love in the debates, but do we see this love and encouragement in our own lives? 4. Am I self-centered or God-centered? It is easy for a Christian to develop this attitude of self-centeredness in this culture: however Christ has called his disciples to a life of self-denial. “Then said Jesus unto his disciples, If any man will come after me, let him deny himself, and take up his cross, and follow me.” (Matthew 16:24). Our lives are to be centered upon Christ. Our goal is not to follow our desires, but His will. 5. Am I more concerned about my physical well-being or my spiritual well-being? One of the greatest issues of the debates and this campaign is the health care crisis in this nation. Yes, we do have crisis in America concerning our health care. The physical health of Americans in general is quite poor. However, the greatest crisis is not the physical well-being of Americans, but our spiritual well-being. Do I truly desire to walk with God daily? Do I read the Bible with an open heart and mind? Am I quick to obey the commands of Christ? Do I quickly confess my sins to God? Do I love God with all of my heart? Do I love others as God loves me? When fear takes its grip upon our lives, it affects our view of circumstances, of others and of the future. 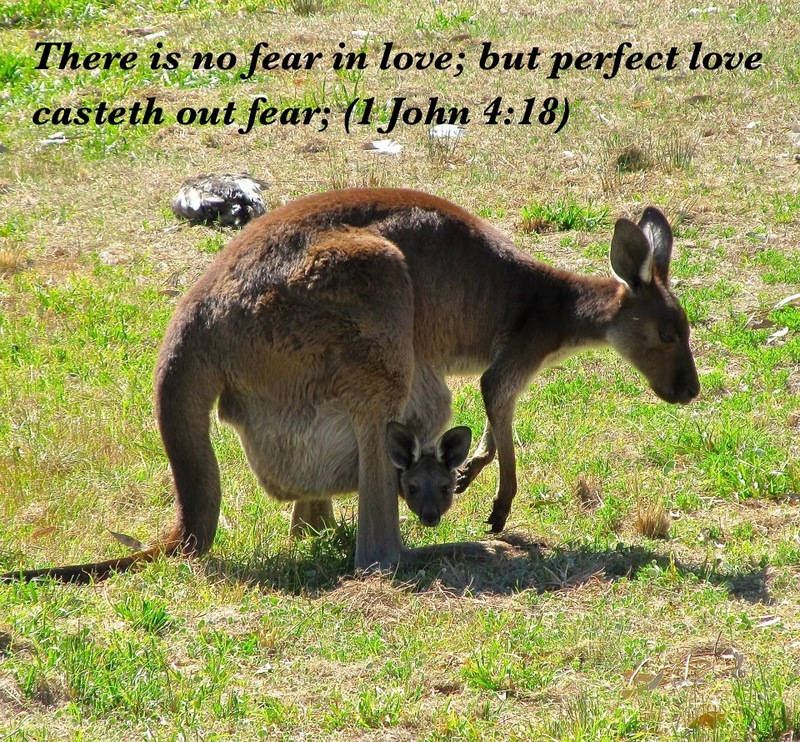 Fear causes us to doubt the love of God, the presence of God, the provision of God, and even the protection of God. Fear keeps us from doing what God has called us to do. How can we move beyond our fears and approach life with courage? Courage is the willingness to move forward with our lives in spite of the obstacles and dangers that we face. The nation of Israel, including King Saul, was paralyzed by fear on account of Goliath. His size was overwhelming. However, David had moved beyond his fear to courage. David didn’t see the power of Goliath. He saw the power of His God. His courage has inspired us to face life’s situations with the understanding that God is greater than anything that is happening in our life. How Can I Move Beyond Fear to Courage? 5. Study and memorize the Word of God. Fear often is the result of ignorance. When we study the Word of God, we see God working in the lives of people such as Moses, Joshua, Ruth, David and Daniel. These people faced fearful situations; yet they faced them with courage because they knew their God. “But the people that do know their God shall be strong, and do exploits.” (Daniel 11:32) When we study the Word, we get to know God better. The more we know Him, the more we will be able to trust Him. Our fear will turn into courage, not because of who we are, but because of who He is. 6. Become familiar with the “fear nots” in the Bible. God knows our heart. He knows that we are prone to fear. We are prone to walk by sight and not by faith. 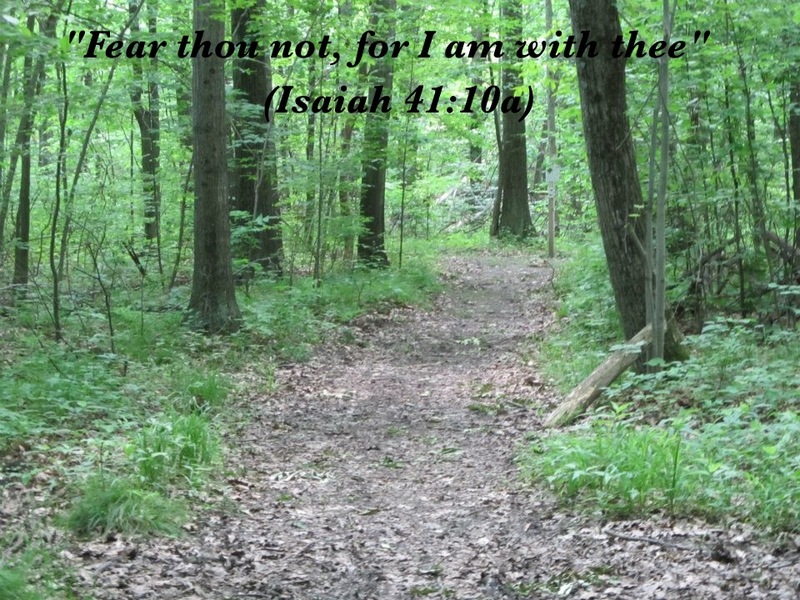 He encourages us with many of His “fear nots” in the Bible. Here are just a few. Fear not in times of failure. 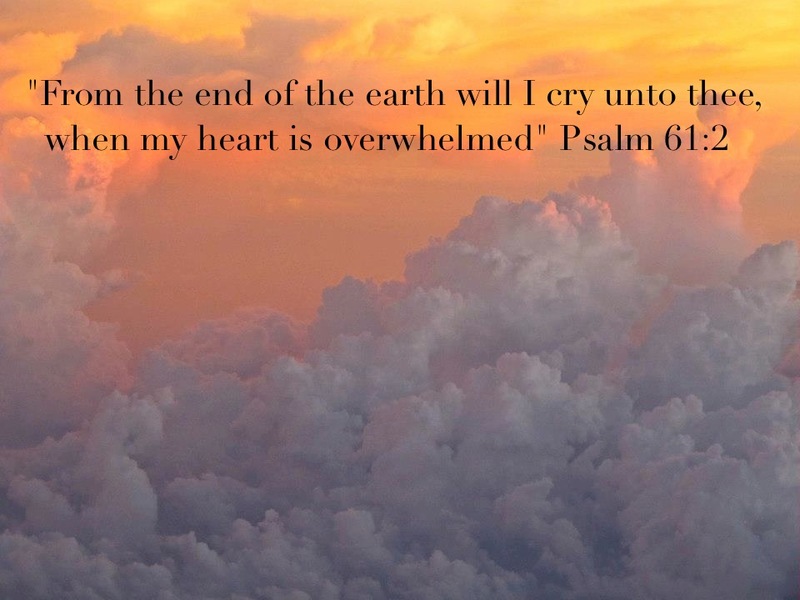 Here is what God said after the Israelites’ failure at Ai. “And the Lord said unto Joshua, Fear not, neither be thou dismayed:” (Joshua 8:1) God did bring the victory after their previous failure. 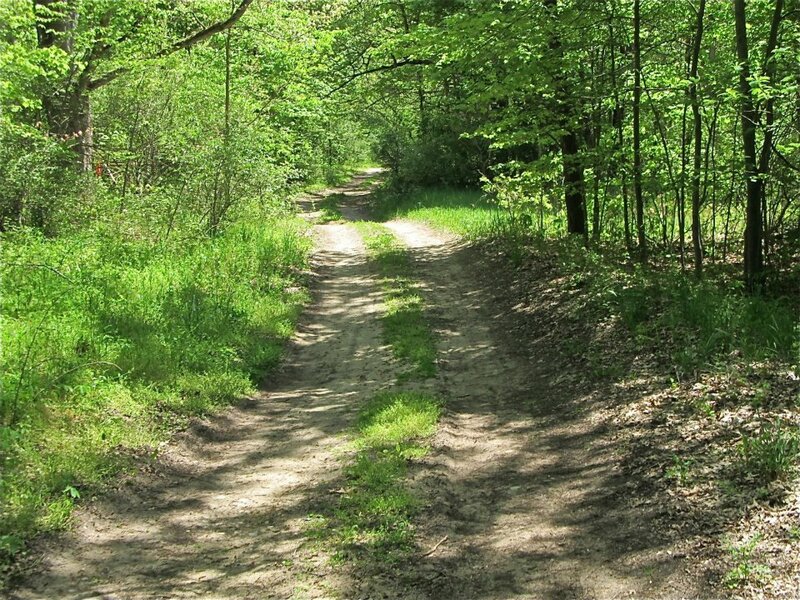 Eaton County (where I live) has many unpaved roads that are quite bumpy. These roads may have some attractive scenery, but they also can make a bike ride an unpleasant experience. Likewise, in the road of life, people that we know face bumpy roads. These roads can bring discouragement, heartache, pain, danger and failure. How sensitive are we to people who are traveling a bumpy road? How can we smooth out the bumps in the lives of others? A gentle spirit can smooth out the bumpy roads in the lives of others. The Apostle Paul says: “Let your moderation (gentleness) be made known unto all men. The Lord is at hand.” (Philippians 4:5) One Person defined gentleness as: “Showing personal care and concern in meeting the needs of others.” Do we interact with people in gentleness or in harshness? I am glad that Jesus deals with me in gentleness when I face some bumpy roads in my life. However, how often do I make the effort to deal with others in a spirit of gentleness? Here are some of the ways that we experience Christ’s gentleness in the bumpy roads of our life. 1. He forgives me when I sin against Him. “If we confess our sins, he is faithful and just to forgive us our sins.” (1 John 1:9) Do I forgive others willingly when they sin against me? 2. He never leaves me when life gets rough. “I will never leave thee, nor forsake thee.” (Hebrews 13:5) Do I stick by others when the going gets tough in their lives? 5. His Love is unconditional. Christ’s love is always there because his love is not based upon my behavior, but upon His character. “Who shall separate us from the love of Christ? shall tribulation, or distress, or persecution, or famine, or nakedness, or peril, or sword?” (Romans 8:35) Do I continue to show love to others even when it would seem easy to turn away from them? There are many people who are facing a bumpy ride in this life. Are we willing to go the extra mile and show gentleness towards them? This will be a great way to smooth out their bumpy ride. Our gentleness can be considered the shock absorber of life. 1. Do those you correct walk away motivated or discouraged? 2. Do people avoid you when they know they have disappointed you? 3. Do you take the time to build a friendship along with correction? 4. Do those who work with you feel that you are committed to them or to getting the job done?